The Toronto Pop-Up Design Incubator is a mobile design support program developed to connect SME incubator clients to design talent and design tools to help them achieve strategic business goals. The Pop-Up Design Incubator has been developed by the Design Industry Advisory Committee (DIAC) with support from Toronto Economic Development. In its pilot year, the program will organize and deliver seminars on the strategic use of design to innovation-focused SMEs at MaRS (Canada’s largest incubator), and at a number of other incubator facilities whose clients and members are focused on priority business sectors including green enterprise, social entrepreneurship and health care technologies. The mobile design incubator brings design methodologies and tools to start-up businesses and demonstrates the use of an Integrated Design Process to help these businesses to improve commercialization outcomes by integrating design into every step in the product and service development process. The program connects entrepreneurs to designers in the six design disciplines: industrial, graphic, interior, fashion design, architecture and landscape architecture. For small business entrepreneurs, it’s never too early to start thinking about design. Input from a designer can help an emerging company to engage investors, customize products and services to the needs of target customers, and visualize an innovation while it is still in the pre-concept stage. On June 6th 2013, DIAC partnered with the Toronto Business Development Centre (TBDC) to present an introduction to the strategic design process for start-ups and other Toronto entrepreneurs. 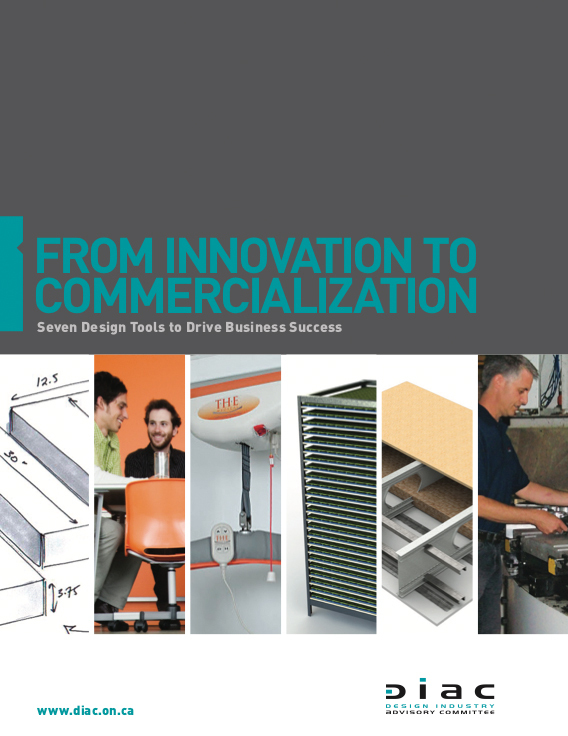 The seminar was the latest in the DIAC Pop-Up Design Incubator series that is supported in part by the City of Toronto. The event attracted emerging technology companies who are resident in TBDC’s incubator facility as well as start-ups from the larger TBDC client community. Following the presentation, seminar guests had the opportunity to work in small groups with design experts to discuss their specific design-related business challenges. The entrepreneurs appreciated the chance to spend a few hours discussing how design could improve their chances of business success.